We don’t have a poster per se this year (thanks to those that offered!) because we really don’t have anywhere we need one for at this time. Instead, art director Tyrone Biljan took some design elements on hand and put together this simple and effective image that we are using now for this website and for the Facebook and other social media outlets and will encourage others to us to promote the ceremony and any post-ceremony reports. The background image in the sky is something Darwyn Cooke sent us for another upcoming project. 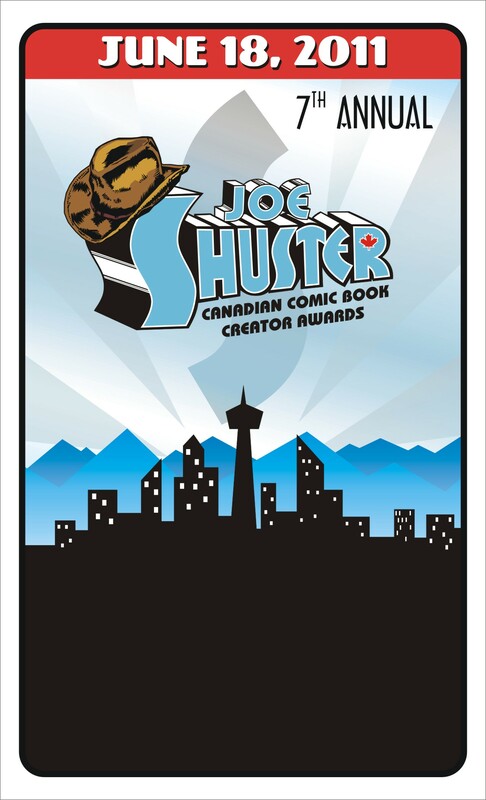 The Awards logo itself is based on a design Dave Sim did for us that Tyrone adapted for the original logo, which is in itself a homage to Joe Shuster’s own stylistic form of lettering. This entry was posted in Happenings, Media, Op/Ed by Kevin A. Boyd. Bookmark the permalink.